Have you dragged yourself here, exhausted, confused, overwhelmed, and thinking, "I'm drowning and I need to decide if I want to keep doing this or I want to get a 'job'"? Or maybe you HATE corporate life and want to start freelancing but you just don't know how? Maybe you want to find more work but you don't even know where to start? 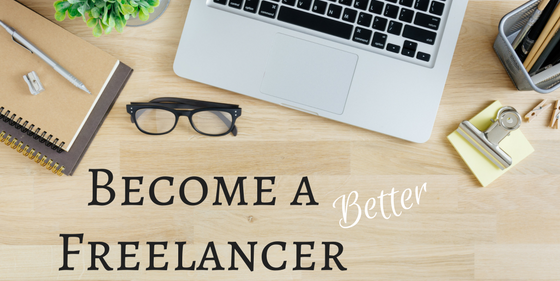 Whether you're at the beginning of your freelance life or you're a veteran experiencing burnout, MakeMeAFreelancer.com is just for you. We offer tips, tricks, and musings on how to run a successful business. I learned the hard way, so you don't have to. Help! I need more work! I respect your privacy and will not sell, give away, or rent your email address. An 11 page guide and workbook to help you refine your focus, tailor your marketing message, manage your business, and network to increase your revenue.